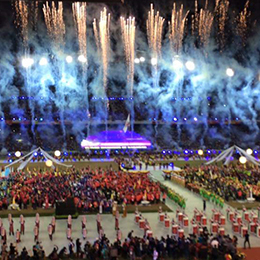 The MIDAS PRO9 mixing console was recently used by Premier Echo Sound & Lighting for Malaysia’s 2016 Sukma Games opening ceremony which has been praised as ‘one of the most excellent ceremonies in the history of Sukma’ by the Malaysian Youth and Sports Minister, Khairy Jamaluddin. 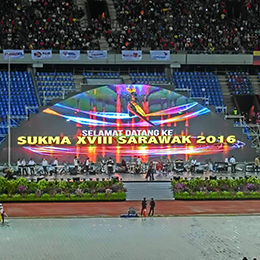 Kuching’s Sarawak Stadium was host to 45,000 attendees for a captivating show delivered by 3,000 performers, and was broadcast live on Malaysia’s TV1 on 23rd July 2016. The ceremony introduced performances by Miss World Malaysia 2014 Dewi Liana Seriestha and the Ministry of Social Development and Urbanisation (KPSU) cultural singers. Also performing on the night was Bob Yusof of the Akademi Fantasia fame who performed ‘Berpadu Menyahut Cabaran’ accompanied by the award winning violinist Nisa Addina Mohd Taufik. 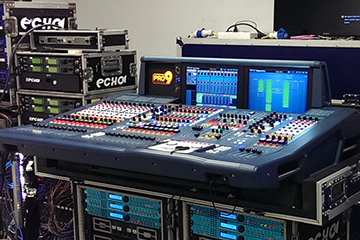 For FOH, Premier Echo Sound & Lighting who selected MIDAS, used a PRO9 console connected to a DL371 via a 300m fibre optic cable. 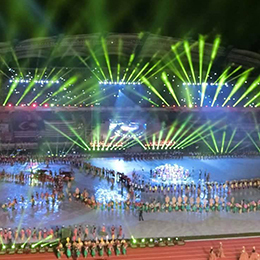 The line arrays deployed around the stadium and the Malaysian Armed Forces marching band used inputs from a DL451 which was configured in 16 analog inputs and 8 analog outputs. At monitor world, a second PRO9 consoles was taking inputs for a 13-piece band, 12 wedge mixes for the band, 6 stereo IEM mixes and 4 mono IEM mixes for the singers on the night and as well as a violinist. Using a DL371 linked to the FOH DL471 via Cat5e, inter-console soft patching of bidirectional signal routing was enabled for 3 way talkback between stage, monitor and FOH. Premier Echo Sound & Lighting are a major contractor got the government’s national events and have worked in world class events such as the Rainforest World Music Festival and Penang World Music Festival.